Street food is meant to be eaten on the street. No amount of five star intervention has traditionally added anything more to street food. If anything, it has only diluted it. Some say that the sweat plays a role in the flavour. I hope I never find out if that is true, though. Some say that the heat and the air play roles in the flavours of the street. Some say that it is all of the above and more put together. Every once in a while though, street food gets a good variation. Not better or worse, but a good variation. 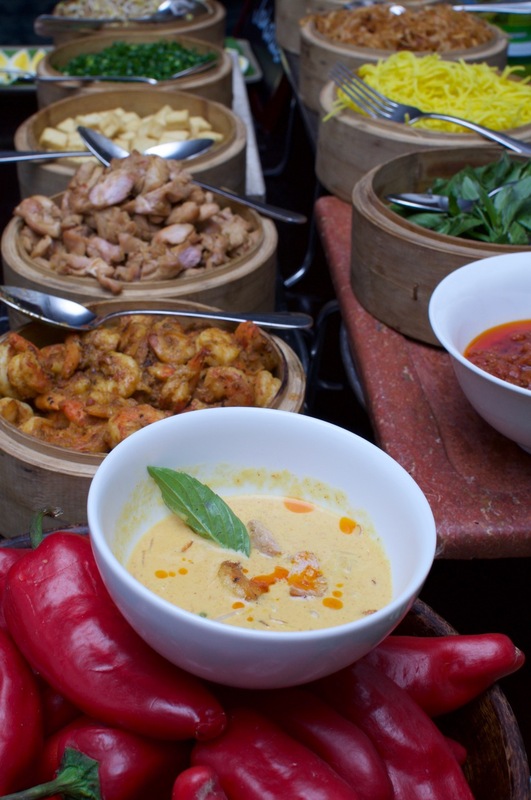 The ongoing street food festival at The Dining Room, Park Hyatt hotel, is one such. 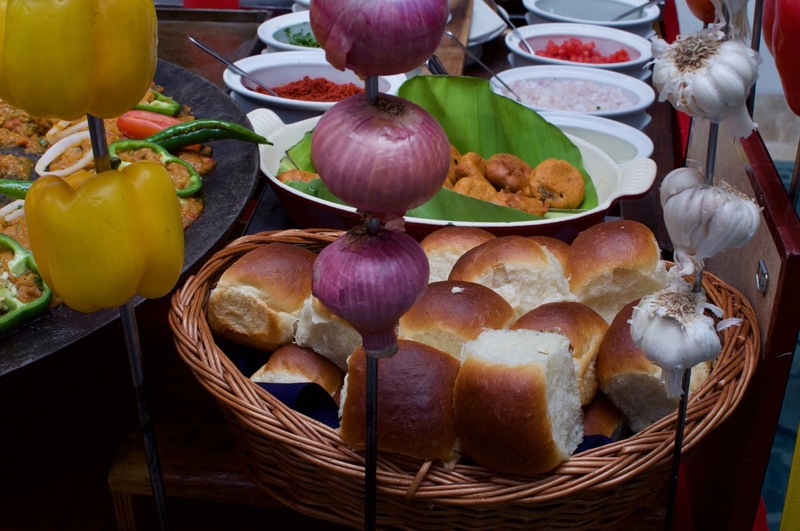 While it is a part of their usual excellent buffet, there is enough from the street food counters that you could give the regular buffet (except dessert of course) a miss. One of the tough foods to give a fancy make over is the vada pav and the pav bhaji. The chefs here gave the former a beautiful makeover and the latter a not so good one. 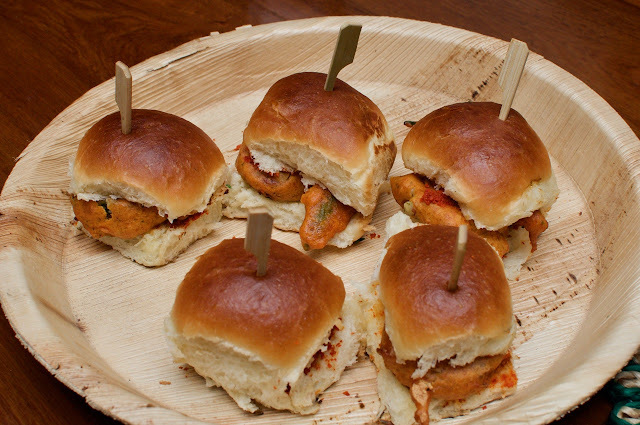 The vada pav here with a nice potato patty was served with a fried chilly inside. 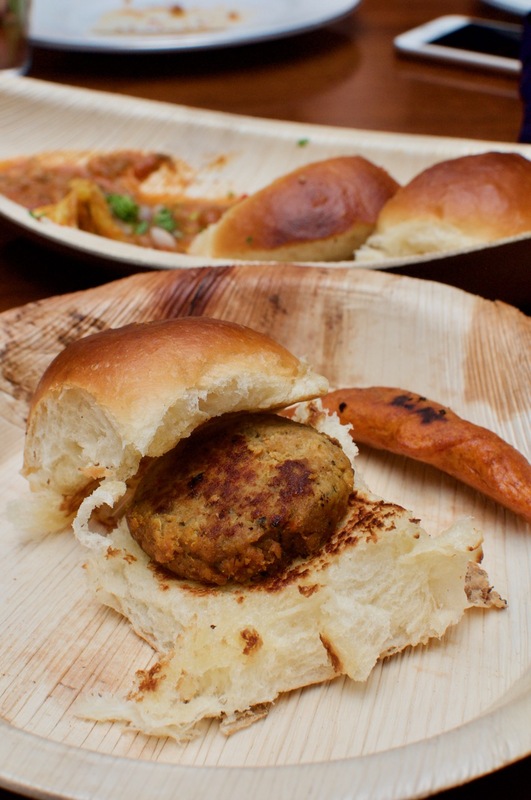 With super soft buns and a nice tangy potato inside, this was a good makeover to the usually humble vada pav. The pav bhaji, though served with the same nice pav simply didn't match the vada pav. At the end of the first counter, scores were tied and it was Street Food 1, 5 star 1. The chilly not being super spicy helped! It came down to dessert. There was only one sweet counter. 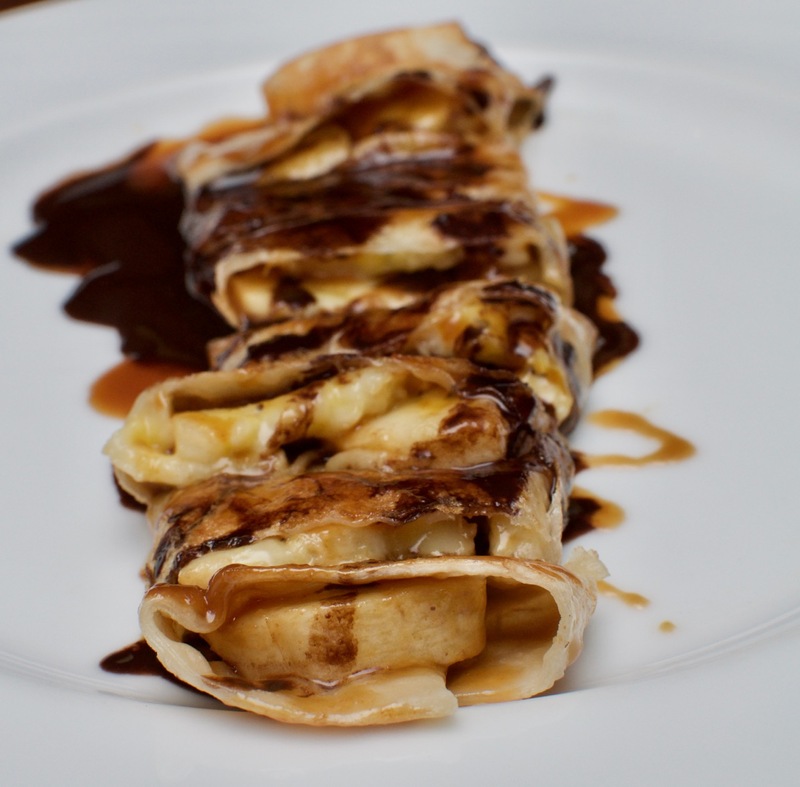 That day, it was the banana pancake. It looked like it was straight out of the streets of Bangkok, but I wasn't going to make any judgements till I ate one. 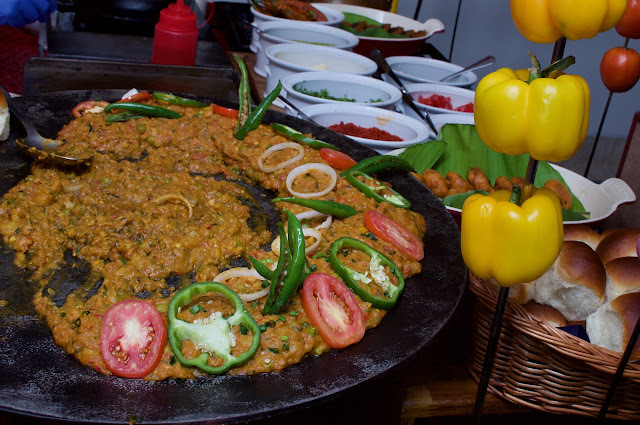 We watched as a chef behind the counter carefully stretched out the dough and heated it in the tawa. He sliced bananas and added all the condiments. 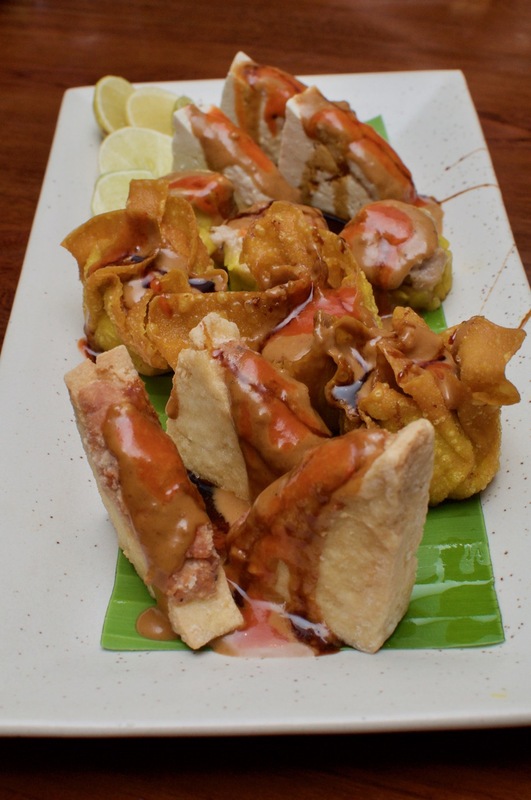 Once folded, he dressed it with various sauces and placed a dollop of ice cream and handed it to us. I took one without the ice cream. Yes, it was nice, yes, it was flavourful, but no, it didn't match the banana pancakes you get in Thailand! So, it was street food 3, 5 star 2. Dessert from their regular buffet was as excellent as usual and it complemented the meal well. While there were only four counters for street food (and the cuisine changes every day, so maybe some day there will be a Doner or a Wurst stall), but if you have two helpings from each stall, it can fill you up. There is always the rest of the buffet if you need more to fill you! The festival is on till the end of May and is priced along with the buffet at The Dining Room, Park Hyatt.